St. John's International CircusFest (Day 1) — Wonderbolt Productions Inc.  The St. John’s International CircusFest premiered in September 2018, bringing the world of circus to Atlantic Canada, and we’re doing it again in 2019! Hosted by the Wonderbolt Circus, this festival features top national and international circus performers and troupes, and will have visibility through a multitude of workshops, outreach projects, professional development sessions and of course incredible circus shows. There is something for everyone at CircusFest!